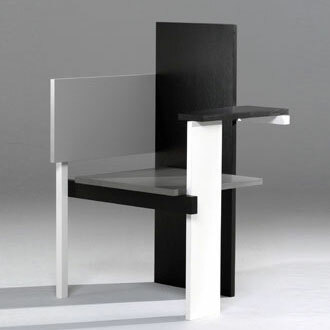 In the fourth posting on the theme of architect/designer I am looking at Gerrit Rietveld (24 June 1888–26 June 1964) who was a Dutch furniture designer and architect. 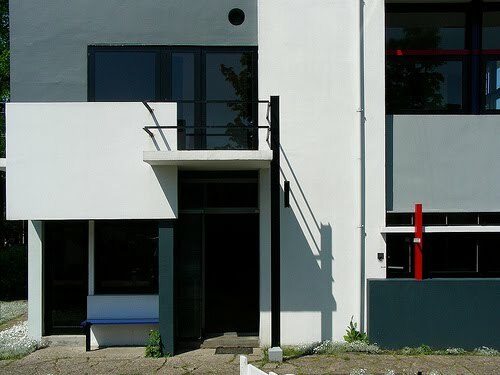 One of the principal members of the Dutch artistic movement called De Stijl, Rietveld is famous for his Red and Blue Chair and for the Rietveld Schröder House, which is a UNESCO World Heritage Site. 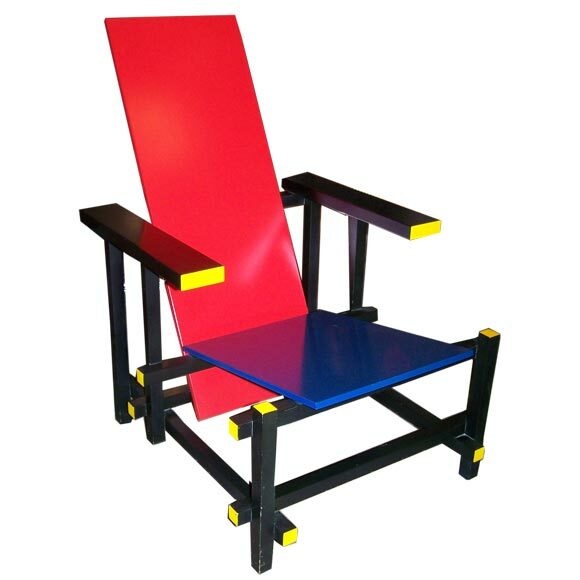 Rietveld designed his famous Red and Blue Chair in 1917. 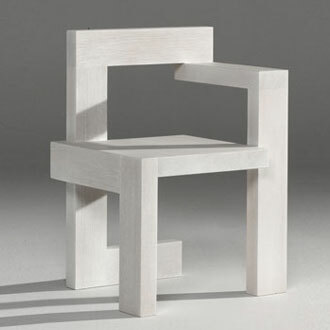 In 1918, he started his own furniture factory, and changed the chair's colors after becoming influenced by the 'De Stijl' movement, of which he became a member in 1919, the same year in which he became an architect. He designed his first building, the Rietveld Schröder House, in 1924, in close collaboration with the owner Truus Schröder-Schräder. Built in Utrecht on the Prins Hendriklaan 50, the house has a conventional ground floor, but is radical on the top floor, lacking fixed walls but instead relying on sliding walls to create and change living spaces. The design seems like a three-dimensional realization of a Mondrian painting. 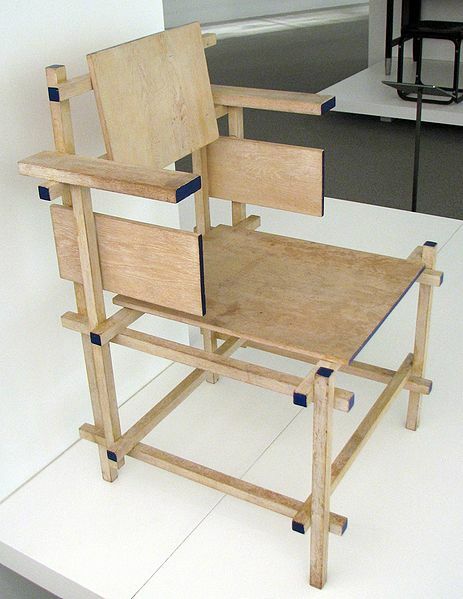 Rietveld broke with the 'De Stijl' in 1928 and became associated with a more functionalist style of architecture known as either Nieuwe Zakelijkheid or Nieuwe Bouwen. The same year he joined the Congrès Internationaux d'Architecture Moderne. 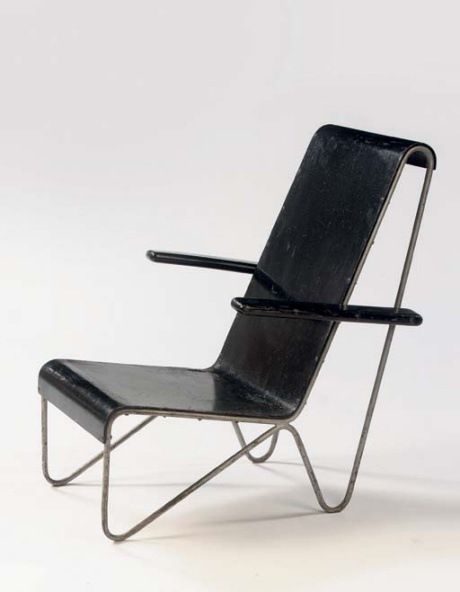 He designed the "Zig-Zag" chair in 1934 and started the design of the Van Gogh Museum in Amsterdam, which was finished after his death. He built hundreds of homes, many of which are in the city of Utrecht. His work was neglected when rationalism came into vogue but he later benefited from a revival of the style of the 1920s thirty years later.